I used the sketch from MFT#64. It has great layers. I enjoyed making this card. I choose the colors from Lily pad cards-Virginia’s view, those buttons are so sweet, love those colors the reds, pinks and blues are awesome. I colored the PI with Copics, this is my first ever card with Copics, I learnt the colors from MFT-Kim, thanks to her. I paper pieced her. Her hair is done with prisma color pencils with my favorite combination Chocolate, Light umber and Peach beige. I rested her on a Cameo and I cut it from a paper that had this beautiful garden. I love this sentiment, I put that on the mix and match banner, I added a Hero Arts background to it. 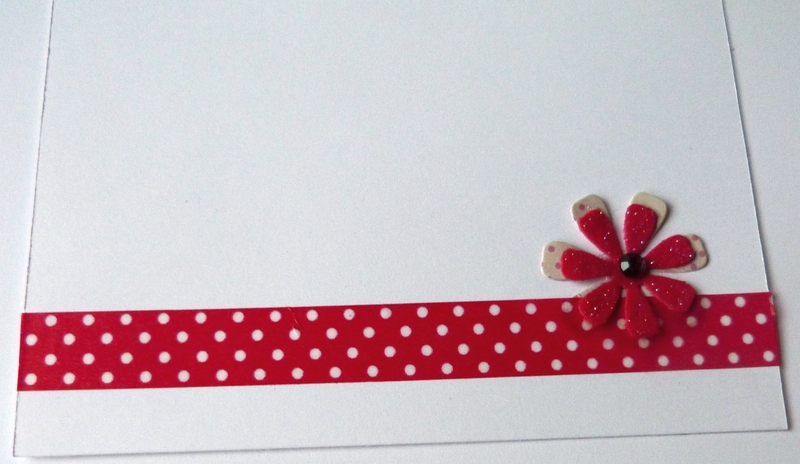 Do you see that bright polka dot red tape, that is a new trendy tape, I love it. I added a tiny bow to it. Miscellaneous: Copics E00, E11, E53, R02 prisma color pencils, Cuttlebug Embossing Folder, Zva pearls, Momento Rose ink and blue bahama ink, red polka dot trendy tape by Queen and co, Clear Embossing powder, Glitter red felt, ribbon bow. So super cute! Totally perfect actually. 🙂 Really love it. Thanks for playing with us over at TPS challenges this week. Great card. Love the sentiment!! Great job! Thanks for sharing with Speedy Fox and Friends! What a “princess” of a card, Zehra! I’m so glad you linked your blog up to the Moxie Fab World Blogroll. It will be great to stop by and say “hello” from time to time! Cute sentiment. Thanks for joining SpeedyFox and Friends. Beautiful card with lovely bright colours. Sweet image and gorgeous flowers. 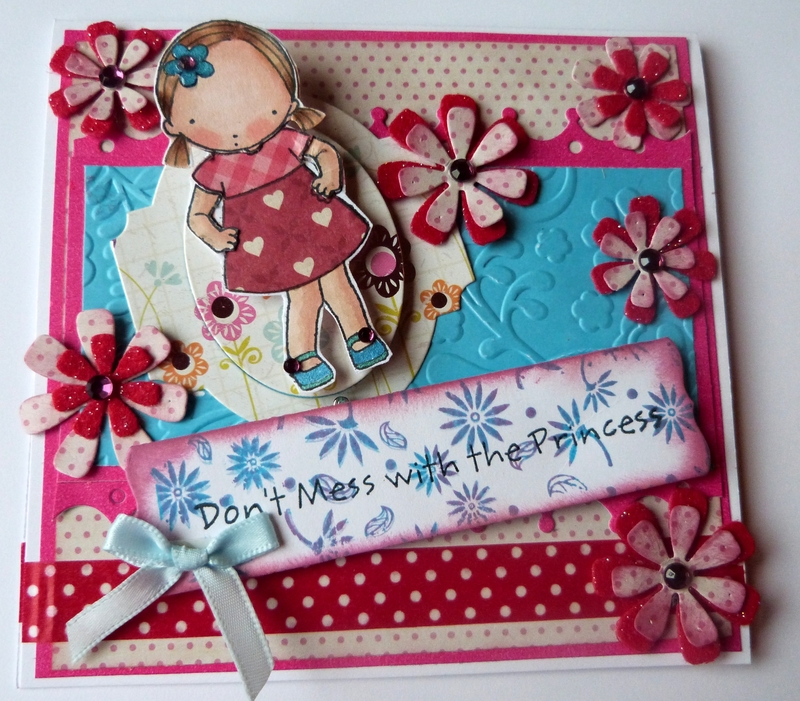 Precious card, my daughter would love this she such a princess. Thanks for playing along with us here at Speedy Fox and Friends challenge, we hope to see you again next week. Make sure to check out our challenge with Friends of SpeedyTV for more fun and more chances to win with Mark’s Finest Papers, a Heinrich Co.
Zehra this is absolutely beautiful!! My favorite color scheme!! Thanks so much for joining us at Paper and Such! Beautifully embellished! Thanks for playing along with us for the Paper and Such Challenge!